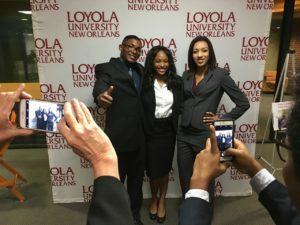 Loyola University New Orleans School of Mass Communication’s Studio A was the scene of introductions and exchanging of contact information as students used their best networking skills to try to secure internships from local media employers Nov. 14. 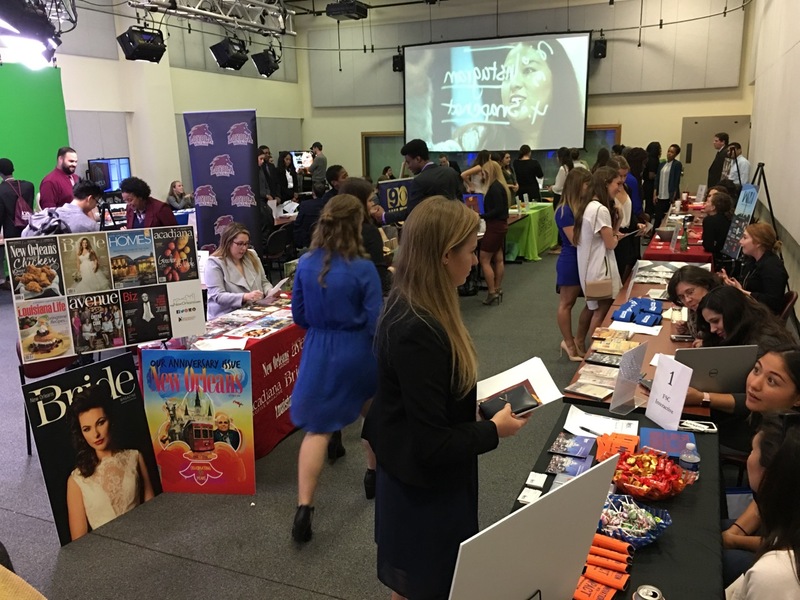 Students of different years and majors interested in job opportunities in the public relations, graphic design, advertising and journalism fields were able to learn about available jobs. Throughout the night, students huddled around the tables that separated them from their future employers. Networking Night gave them the opportunity to connect with local companies to learn more about the careers they are pursuing. Participating employers included media outlets such as WWLTV Channel 4, WYES, WVUE-TV Fox 8, Telemundo New Orleans, Renaissance Publishing LLC, D.C. Witness, a publication of the Washington Media Institute, and PR and marketing firms, including FSC Interactive, Bond Moroch, MOxie Media, The Earhart Group and Gambel Communications. 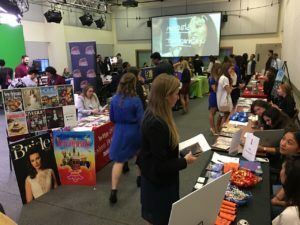 “By having all these potential employers out, people who might be hiring, it’s a great way to figure out what their organization is all about and for us to get our names out there,” said Journalism major, Brian Wollitz. Some School of Mass Communication alumni came back for a visit as professionals representing the companies they work for.